Hans Hoogervorst, chair of the International Accounting Standards Board, claims that “greenwashing is rampant” in sustainability reporting. Then Tim Mohin, chief executive of the Global Reporting Initiative, “categorically refutes” that claim while candidly reminding us of the Enron and 1MDB financial reporting scandals. 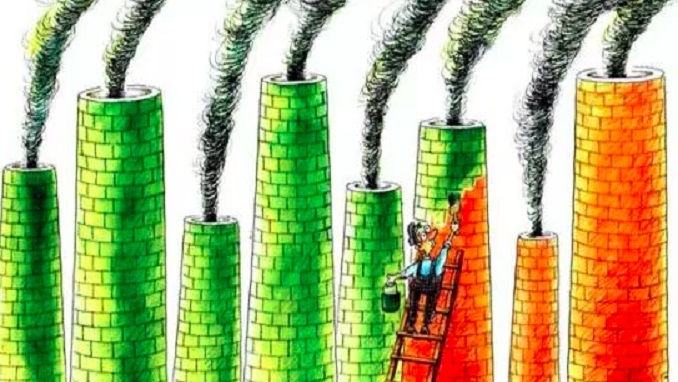 Both are right: greenwashing is growing, as reporting and now “sustainable” investing grows, but sustainability reporting in itself — or even its nascent standards — are not to be blamed. Both also make encouraging “disclosures”. Mr Hoogervorst, once a sceptic, now accepts that climate change is a market failure and humbly declares that accountants do not have expertise on sustainability. Mr Mohin accepts that standards — even the great GRI standards — “cannot solve every problem”. The debate is important as sustainability reporting is now becoming mandatory in Europe and other jurisdictions. Sustainable investors are growing in number and asking about the real impact of their money invested on financial instruments such as green bonds. But regulators and investors are also upset that the reports are not comparable, while admitting that they do not have the time and knowledge to digest all the information. Some may be perplexed to learn that a number of sustainability reports are an exercise of self-promotion under the responsibility of the marketing department, without any external checks and despite the work of internal sustainability professionals. Then, when reports are verified, most of the work is done by financial auditors, who admittedly lack competence as well as time and other resources and, in many cases, the independence to do the job. Shockingly, many reports are prepared, verified and audited by the same accountancy firm! Decent, truly independent and in some cases mandatory external assurance can be an answer. It should help reduce greenwashing and literally assure investors, regulators and other stakeholders that the information is good. In order to achieve that, it is time to set an accreditation system for sustainability assurance professionals, with appropriate education, experience and procedural requirements, and for assurance providers with unambiguous requirements for independence.